SupHerb Kids is a line of natural food supplements adapted for the special needs of children, for the fast relief of symptoms and the treatment and prevention of various health problems such as ear infections and flu, while strengthening the immune system and promoting good health. 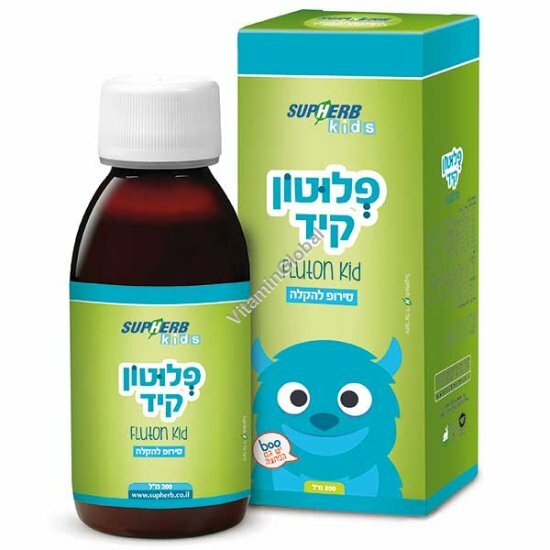 The cough SupHerb is proud to present Flutone Shyulone, a special syrup for fast relief of dry or phlegmy cough in children. Coughing is one of the primary protective mechanisms of the respiratory passages and is intended to help the bronchi or lungs to eliminate secretions or prevent the aspiration of foreign bodies into the lungs. Our bodies utilize this mechanism when we have a cold or respiratory infection, so these illnesses are frequently accompanied by coughing. The early stages of a cold or respiratory infection are usually accompanied by a dry cough, discomfort and irritation of the respiratory tract. At this stage, there may also be slight congestion in the respiratory system. Fast relief of phlegmy or dry cough and fever. Preventing recurrence of respiratory infections. Begin taking the syrup as soon as symptoms appear. Continue for several days until relief is felt. Children (ages 2 - 6): half a teaspoon - 1 teaspoon (2.5 - 5 ml) up to four times a day.